Enjin is a social gaming network connecting over 6 million gamers. It provides users the opportunity to create their unique gaming identity, find friends, join gaming communities such as Minecraft servers, guilds and clans. One of the easiest ways to use our services and Enjin is using our Records Templates. 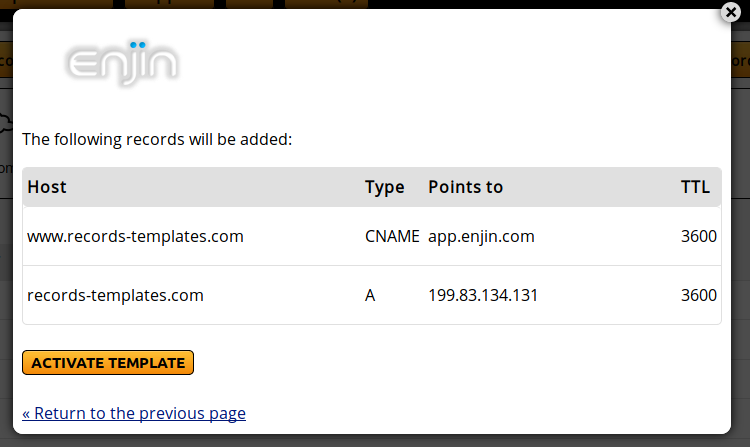 They allow you to create the necessary records in your Master DNS Zone. From the orange boxes, click on "Enjin".